A year to the day since she won gold for Britain in the velodrome, Paralympic cycling champion Dame Sarah Storey DBE launched a ride through Greater Manchester to keep the legacy of London 2012 alive. 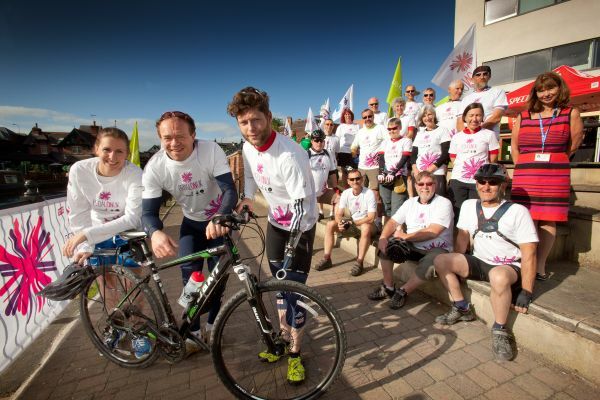 The ride was part of a 1,000 mile UK-wide cycle tour and series of community festivals called Pedal On UK, organised by charity Sustrans and backed by the Big Lottery Fund’s Keeping the Spirit of 2012 Alive campaign. Dame Sarah Storey launched the bike ride which travelled along various walking and cycling routes in Greater Manchester – via the Bridgewater Way, Fallowfield Loop and NCN route 60 to the National Cycling Centre; then via the recently upgraded NCN route 6 to Bury’s new Connect2 bridge at Woolfold Gap; then heading to Rochdale to finish the day at their Feel Good Festival. “When people think of Manchester, they think of competitive cycling. Not everyone knows about the cycling routes which have been popping up across the city thanks to Sustrans. “The new walking and cycling routes which Sustrans and their partners have built are making it easier for people to leave their cars at home, and choose to walk and cycle instead. “By taking part in Pedal On UK I hope to highlight the fantastic work being done by Sustrans and show it’s never too late to get active and stay healthy by cycling and walking more”. 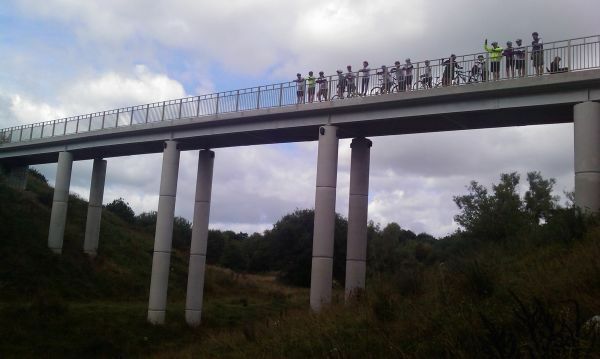 The contractors seemed to have no idea that they had blocked a well used cycling facility that forms part of the National Cycle Network – this highlighted the need for Local Authorities and others to take cycling more seriously and prevent situations like this from occurring. 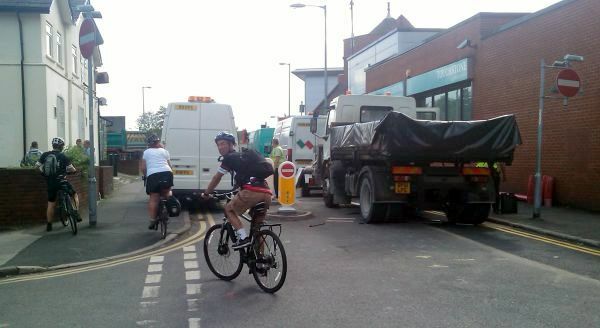 The contractors were very understanding and promptly moved the van that was blocking the cycle-contraflow facility and started to re-arrange their barriers and other vehicles as we set off again to catch back up with the rest of the group. Unfortunately the lack of a signalled crossing to assist pedestrians and cyclists who need to cross this busy road was not as easy to remedy, but we had to get on our way. On a more positive campaigning note we noticed an effective traffic calming feature on Woodhill Road in Bury. 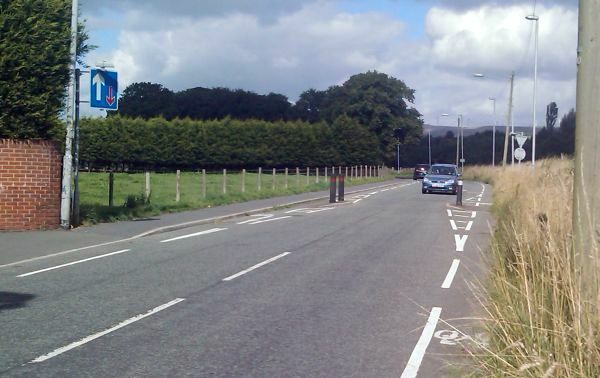 Cycles were able to use the bypass facilities on either side and progress unhindered, whilst motorists needed to slow down slightly, or wait if there were oncoming vehicles. Perhaps this approach could help elsewhere in Greater Manchester.